As I mentioned last week, one of the factors working against the country Georgia is its name – which can be rather confusing if you happen to live close to a large American state with an identical name. Many of you may be thinking of fried food, Coca-Cola, and other (questionably digestible) nourishment but I’d like to introduce you to the cuisine of the Caucus country Georgia. There is a Balkan and Persian influence in what I was expecting to be a rather bland Russian mix of potatoes and meat; making my stomach joyfully surprised and hopefully do the same for your hungry eyes. This quickly became one of my favorite foods in Georgia and easily anywhere else in the world. It is high up on my personal list along with Chile’s porotos granados, Ecuador’s version of ceviche, and Bulgarian sarma. Admittedly, this was an accidental order on my part as I had no idea what I was pointing at on the menu. Usually that absolutely illogical methodology works in my favor; but in this case it didn’t. Gizzards, heart, are good when cooked but, well, there’s never been a liver in my mouth I’ve been fond of. Not an accident and quite the opposite this time. 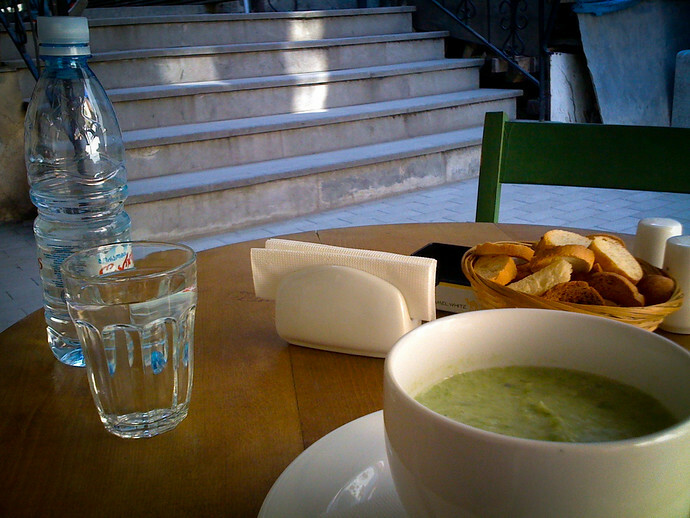 Satatsuri wasn’t the most common soup I found eating out but when it comes to liquid dishes, it is one of the most popular you’ll find in Georgian homes throughout the year. Before arriving in Georgia, my relationship with walnuts was a cordial, but not overly friendly one. I ate them because of their health benefits, mostly believing they were limited in their tasty ways. 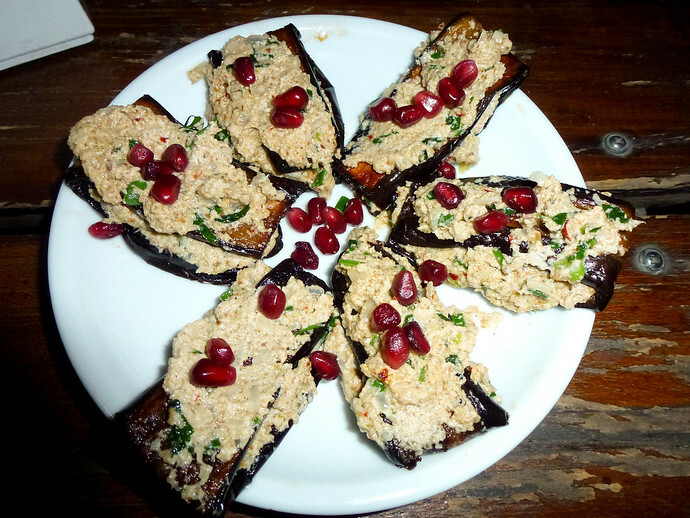 But let me tell you that Georgians know how to turn walnuts, eggplant, and some spices into one of the best cold appetizers I’ve ever had. In fact, thinking it may be a while before I have any satsivi again depresses my taste buds more than a little bit. There are supposedly walnuts in this hearty and common Georgian dish yet I couldn’t taste any. The flavor of garlic though is often quite strong and tempered with white bread (or mtchadi; a type of cornbread) to add some bulk to lobio, which is typically watery. 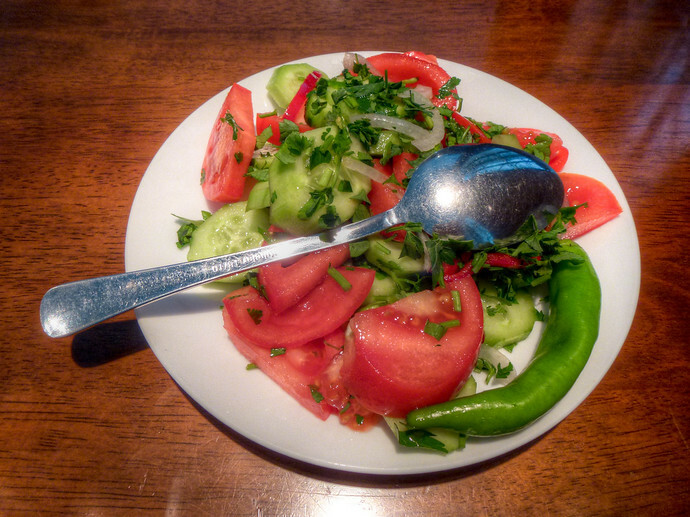 A very common salad you’ll find throughout eastern Europe (like Turkey’s coban salatasi) the Georgian variety of this classic has a few differences. First off, it has much less olive oil, salt, and pepper; with the main ingredients largely – not finely – chopped. There was a lot more tomato-based liquid in this common Georgian stew before I decided to pick at it, my hunger blinding me to any thoughts resembling “take a picture of this!”. 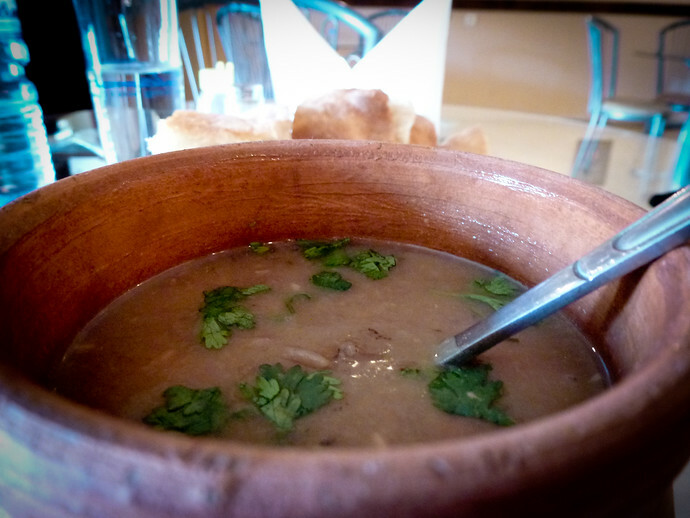 Kharcho is hearty and with only hints of the spices and herbs that make up its recipe (e.g. cilantro). Part of me is still surprised to think that Georgian food isn’t all meat and potatoes. While there is certainly a lot of red meat in many of the dishes, several come in vegetarian varieties like “ispanakhi” (spinach mixed with, you guessed it, pureed walnuts). Back to meat however, kebabs (qababi) are found throughout the country in cities large and small. 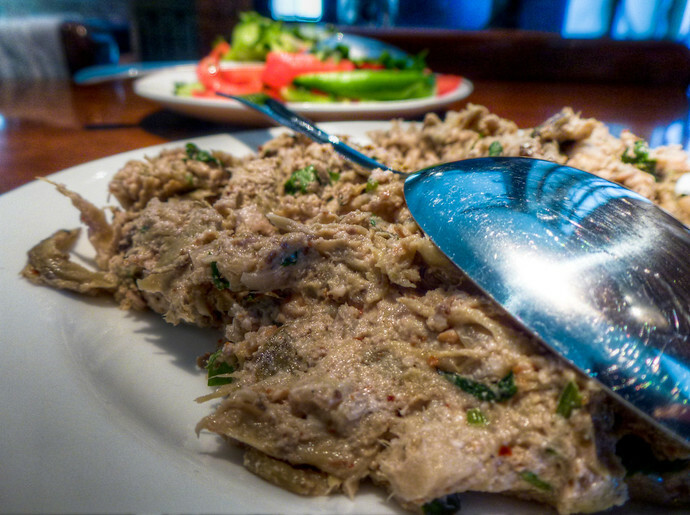 And no matter what dish you’re enjoying in Georgia, it’s usually washed down with some form of alcohol – from the (excellent) regional red wines or the local beer, Natakhtari. Just fallen in love with the Georgian food! A shame you’ve not posted the recipes to go with these dishes. 😉 If we ever make it there, I’ll be scouring the bookshops for a recipe book I think. I was looking up recipes as I was writing this post but didn’t know which would be the best without some experiments of my own 🙂 I’m sure you would enjoy Georgia and from Istanbul it’s quick plus a cheap direct flight! 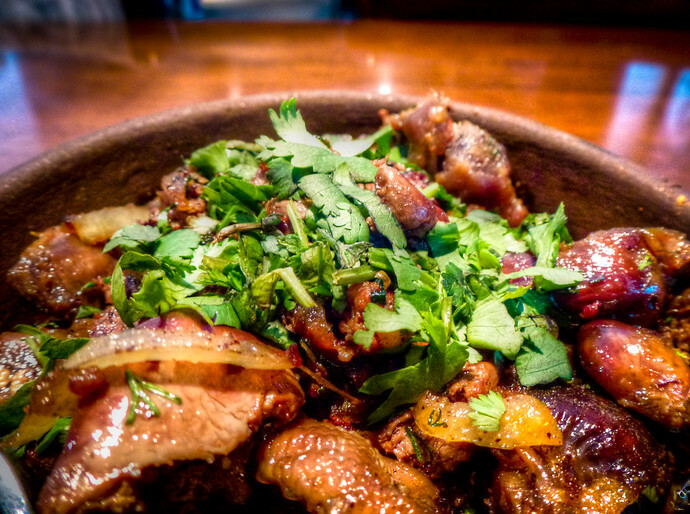 Looks delicious… apart from the gizzards! Looks yummy! Georgia seems like one of those off-the-beaten paths that I want to visit…you know before McDs sets up shop! Goodness, that first one looks like a real winner! I may even try to whip up a version myself, and then compare it to the actual thing one day. Who knows, maybe I have some Georgian in my ancestry! I have yet to travel to Georgia myself but my family is from Russia and so they have some friends from Georgia through which I’ve been able to sample some of the cuisine. 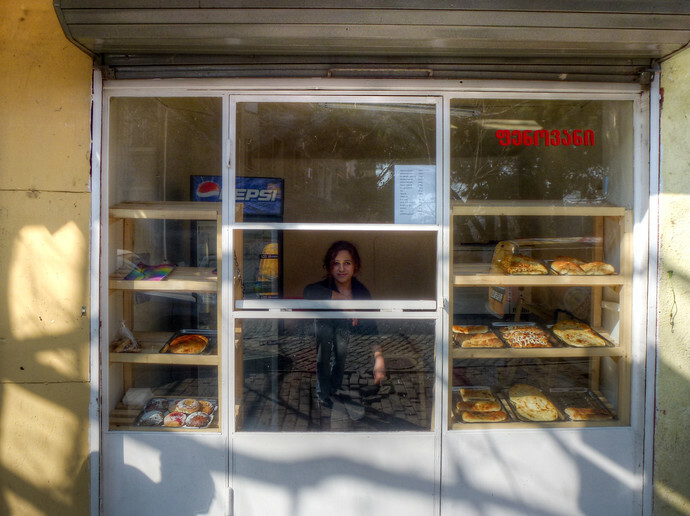 I’ve had the khachapuri (my grandmother and I even made it ourselves), kharcho and satsivi – all sooo good! Due to the Soviet Union years it seems like a lot of dishes from the former republics have spilled over into Russian cooking — one of my favorites — Uzbek plov — have you ever tried it? Just the thought of khachapuri makes me hungry and I definitely need to learn to make satsivi! So good…sorry, now I’m thinking about Georgian food 😀 Easy to lose my concentration with that! I’ve never had Uzbek plov, but am very curious now to look up more about it…thanks! You’ve got to try it! It’s basically a rice pilaf type dish, usually with beef/lamb, carrots, onions, and everything cooks together in stages so the final dish is so full of flavors it’s incredible. They have lots of different varieties – with dried fruits, raisins, etc but the one I mentioned is my favorite. My boyfriend and I are planning on backpacking through Europe and Asia for our trip but just the thought alone of being able to learn an authentic Plov recipe from an Uzbek makes me want to venture out to Central Asia as well! That does sounds great and makes me want to focus on Central Asia even more now! My favorite place to see cultures blending is on a plate 🙂 I’ll definitely keep plov in mind when I make it to Uzbekistan. 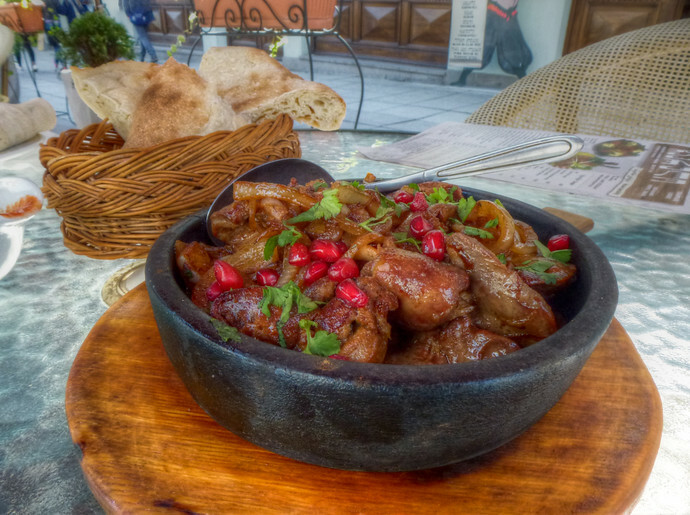 Hopefully you can work Central Asia somehow into your upcoming travel plans as well for a taste! The beef stew looks yummy! I got hungry looking at the pictures. 🙂 Whenever I travel, I also make sure that I try to eat their local food. This all looks sooo good! Love trying new foods! I was delightfully surprised at what a great place to eat Georgia was; a great addition to the visit there! Yum it all sounds incredibly delicious. I’m glad you didn’t post any pictures otherwise I might have walked away very hungry. Wait, you must have missed the photos, scroll back up!